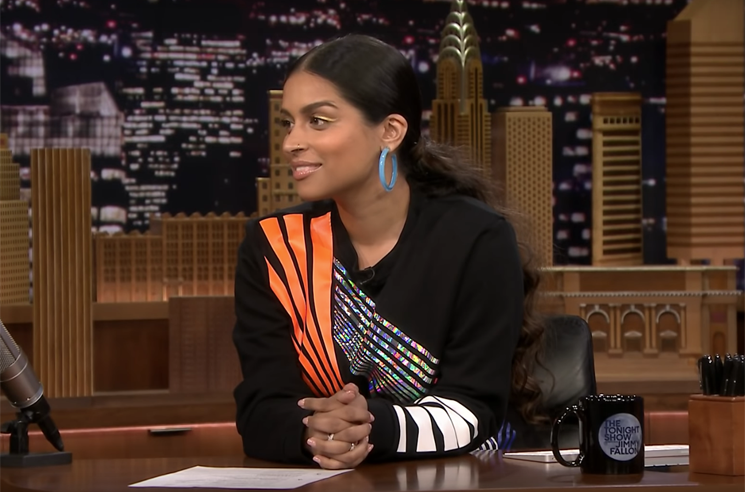 Canadian YouTube sensation Lilly Singh has landed a coveted late-night TV slot on NBC. Dubbed A Little Late with Lilly Singh, the show will premiere in September. Singh will take over Carson Daly's 1:35 a.m. time slot for a half-hour program that features in studio interviews and pre-taped sketches. The new gig makes Singh the only woman to have her own late-night show on a major broadcast network. She announced the news on The Tonight Show Starring Jimmy Fallon, describing the upcoming show as "kind of like my YouTube channel, but now I have more than three staff members." Singh and Fallon then swapped seats to acclimate Singh to her upcoming job, and Seth Meyers even popped in to share his congratulations. Born in Scarborough, ON, Singh shot to superstardom with her "Superwoman" YouTube channel, which currently boasts more than 14 million subscribers. Daly, meanwhile, has said that he will continue to focus his efforts on his role as producer and host of NBC talent competition show The Voice. Watch Singh make the announcement about her new show down below.